Ciggys4Less wanted a scalable point of sale (POS) system offering customization for each store, real-time sharing of data, integrated e-commerce solutions, fast credit-card and payment processing, and 24/7 support, and found these qualities and more with POS Prophet Systems all-in-one solution. High costs and concerns about potentially toxic ingredients in commercially manufactured cigarettes have led many consumers to investigate roll-your-own (RYO) cigarettes. 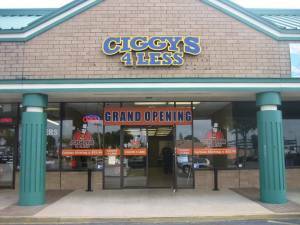 One of the national corporations riding this wave is Ciggys4Less, with franchises located in Florida, Georgia, Alabama, South Carolina, as far north as New York, and a California store. The premise is fairly simple. Customers visit a Ciggy’s location where they rent time on a cigarette rolling machine. After purchasing loose tobacco and rolling tubes in the store, the so-called Ciggy Filling Station produces a carton of cigarettes in about ten minutes. Prior to upgrading their point of sale system, Ciggys4Less had three franchise locations using a slightly older POS system which was not scalable enough to support additional growth. The company planned to roll out many new stores in a short period of time and needed a POS platform (including both hardware and software) that would easily handle those additions. (8) The ability to build “packages” of several items with the push of a single button, in order to sell multiple products in just one transaction. By partnering with POS Prophet Systems (PPS), Ciggys4Less met all of their needs with just one organization. Commonly in the industry, there’s a POS software developer who then works with a middle man (a POS reseller) to distribute, install, and support the products. But since POS Prophet Systems bundles all these services together, things are simpler for the end user. As Ciggys4Less continues to add more franchises nationwide, managers acknowledge that their unique licensing business model will put some pressure on the POS system and require plenty of enhancement and added features. The ability of POS Prophet Systems to provide fast and reliable support was a strong selling point. The new POS system has given both individual store managers and those at the district level and higher, the ability to spot changes in sales volume (both increases and decreases) very quickly. That means that both struggling and overachieving franchises receive immediate support, based on individual needs. “It has also increased efficiency at store and administrative levels, with the ability to quickly access different information modules such as customer accounts, inventory, employee time sheets, and retail transactions in one window,” Hepburn said. And managers and employees are especially happy with the rapid response from POS Prophet Systems when a problem occurs at the store level. The Ciggys4Less corporate office maintains a database on a central server running Microsoft SQL Server 2008 R2. Each location uses POSexpress Version 3.0 software as the foundation of their point of sale system. POSexpress Integrated Web Store adds functionality for the wholesale side of the business and POSexpress Integrated Appointment Book allows customers to reserve a rolling machine at their local store. A full service point of sale provider, POS Prophet Systems develops, sells, and supports affordable and easy to use POS software solutions for their retail partners. They also specify and recommend compatible hardware pieces. POSexpress software is used by 850 retail businesses worldwide. Solutions from POS Prophet Systems include point-of-sale, inventory management, high-speed credit card processing, e-commerce applications, CRM, marketing tools, integrated gift card and loyalty programs, and accounting programs. Once the solutions are in place, POS Prophet Systems offers professional training and implementation, data conversion, 24/7 live support, and business application consulting. POS Prophet Systems software developers are certified Microsoft Partners and the implementation and support teams have over fifteen years experience in training and support of retail operations.